It's necessary to advice us with 48 hours via hostelworld to cancell the booking. Otherwise, the first night will be charged and the booking for the rest of the days cancelled. Kaixo (hello! ), Im Jon. 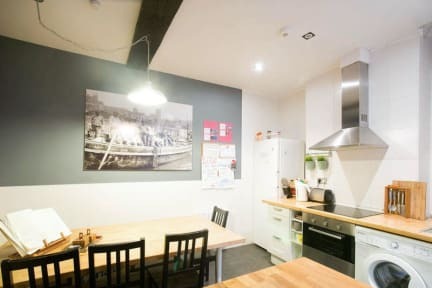 Years of travelling around the world have inspired me to open the doors of my recently renovated home in the heart of the Old Town of Donostia (San Sebastian) for backpackers like you. Simple, clean and Really great location. 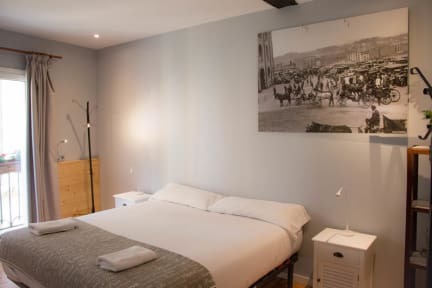 Set 200 metres from San Sebastians port and the famous La Concha Bay, Kaixo Hostel offers rooms with balconies and free Wi-Fi. This guest house features a communal kitchen and laundry facilities. The Kaixo offers dorms and rooms with modern decor and wooden floors. Each has a fan and access to a shared bathroom and shower. Monte Igeldo viewpoint is less than 4 km from the Kaixo Hostel, while Alderdi Eder Park is just 5 minutes walk away. San Sebastian Railway Station is a 10-minute drive from the guest house. - Perfect location in the Old Town just 2 minutes walk from both the picturesque La Concha and the surfers La Zurriola Beaches. - Guided activities: hiking, pintxo tasting, make your own pintxo. - Kitchen opens from: 8AM to 11PM. - surfboard (15 euro/day) rental (A saving of about 5 euro). - Laundry service (5 euro). (A saving of about 3 euro). - Library and book exchange. write an email with the estimated time of arrival. There is also a fee of 10 euros for late check ins after 10pm 20 euros after 12pm increasing by 10 more euros after each hour later into the night. 48 h. before the arrival, email by Hostelworld ONLY. 48 h. before the arrival, preferably via my Hostelworld account and email ONLY. If cancelled or modified up to 2 days before date of arrival, no fee will be charged. - Check in between 14:00 p.m. and 10:00 p.m.
- Check out by 11:00 a.m.
- Not to smoke in the hostel facilities. What makes me happy is that you feel at home. We look forward to your stay with us!